Larry Parker is the chair of our Mergers and Acquisitions Group and focuses his practice on mergers and acquisitions involving public and private companies and strategic, private equity buyers and sellers. Larry has led M&A transactions for clients in multiple industries, including banking & financial services, government contracting, petroleum distribution and marketing, insurance and insurance brokerages and software & technology. In addition, Larry works with growth companies across these and other industries seeking to expand their businesses; raise angel, venture or other private capital; and enter into exit transactions. He also provides general business counsel and counsel on corporate governance to clients. Larry is a member of the Virginia State Bar and the American Bar Association. 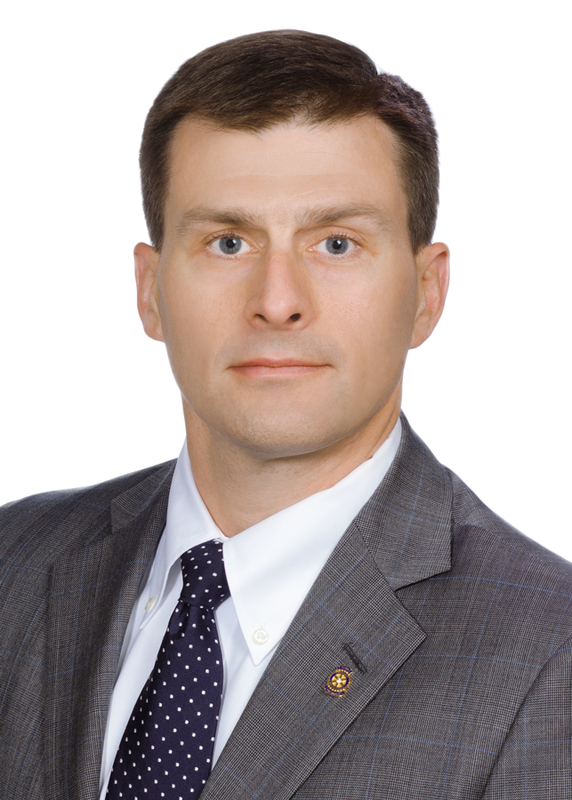 He has been listed in Virginia Super Lawyers magazine for Mergers & Acquisitions Law (2017-present), and he was previously recognized in Virginia Super Lawyers Rising Stars magazine (2009-2013). Larry is a former member of the board of directors of the Innsbrook Rotary Club and a former member of the board of directors for the Venture Forum. From 2015-2016, Larry taught mergers and acquisitions at the University of Richmond School of Law as an adjunct professor. Represented a growth company in the pet products industry in connection with a sale of a controlling interest to a family office. Represented a government contractor in the sale of a controlling equity interest to a private equity fund. Represented a home furnishings retailer in a sale to a private equity fund. Represented a growth company in the sale of its web-based sports retail platform to a private equity fund. Represented an early stage company that has created an online charitable giving platform in connection with a convertible note issuance. Represented an angel investor in multiple investments in a multi-day, multi-artist music festivals. Represented a real estate investment fund in multiple joint ventures with land owners. An online sports retail business. A mobile music and video application business. An online local restaurant guide that aggregates reviews from professional food critics, bloggers and diners. A company that created a specialized work order, job tracking and invoicing software for home improvement professionals. A company that created a unique content recommendation engine. A company that specializes in downloadable software and services that clean, repair, update and optimize personal computers. A company in the digital presence management business. A company that developed software that permits users to produce their own video content viewable across multiple mobile device platforms. Served as co-counsel in the sale of an insurance, risk management and insurance brokerage company to a global insurance broker at over $2 billion. Represented a real estate transaction service provider in its sale to a title insurance company in a transaction valued at over $230 million. Represented a beverage distributor in its sale to a national beverage distributor in a transaction valued at over $150 million. Represented a closely held upscale camping community in a sale to a REIT. Represented a bank holding company in its acquisition of a community bank in a transaction valued at over $50 million. Represented a bank holding company in its sale to a bank holding company in a transaction valued at over $40 million. Served as local counsel to a pharmaceutical company in its acquisition of certain intellectual property assets in a transaction valued at over $40 million. Represented an insurance holding company in its acquisition of an insurance underwriter in a transaction valued at over $24 million. Represented a large Chinese pharmaceutical manufacturer in its acquisition of its first manufacturing facility in the United States. Represented a technology consulting company in a sale to a large, publicly traded government consulting firm. Represented a software company in its acquisition of certain software assets out of bankruptcy. Represented a property & casualty and benefits insurance brokerage company in multiple roll-up acquisitions. Represented an insurance brokerage company in a roll-up acquisition of a regional insurance brokerage company. Represented a broker-dealer and an investment adviser in its divestiture of broker-dealer and investment advisory assets. Represented the management team of a consumer electronic products provider in its acquisition from an international office equipment manufacturer. Represented a bank holding company and its subsidiary bank in their acquisition of an investment adviser. Represented a community bank in its sale to a community bank holding company in a transaction valued at over $20 million. Represented a regional foodservice distributor in its acquisition of an independent food distributor. Represented a closely held national brand food manufacturer in its divestiture of a division. Represented a government contractor specializing in government services in multiple divestitures of certain non-core assets. Represented a building materials company in its sale to a large building materials distributor. Represented government contractor that converts off-the-shelf phones and other communications equipment into devices capable of handling classified communications in sale to a private equity fund. Represented ESOP-owned government contractor that creates communications devices for defense and intelligence agencies in sale to strategic buyer. Represented government contractor that applies specialty coatings below the water line on U.S. Navy vessels in sale of company. Represented government contractor that assists various non-defense, non-intelligence government agencies with services in sale of several non-core assets. Williams Mullen helps USI Insurance Acquire Travers, O'keefe & Associates, Inc.